Discover the home of surf lifesaving with a local BONDI LIFESAVER. Fun, interactive and informative our relaxed guided “DISCOVER BONDI” tours run at 10:30am during the week. 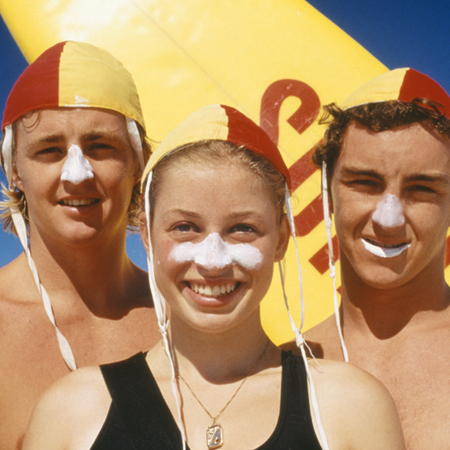 Say G’day and spend time with a true blue Bondi lifesaver and learn all about the colourful history of Bondi, how surf lifesaving began and the famous Black Sunday. Take an exclusive tour inside Australia’s oldest surf lifesaving clubs & enjoy the opportunity to have your photo taken with your Bondi lifesaver and surf rescue board right on Bondi’s golden sand. Take a guided walk along Bondi’s famous coastal headland and discover aboriginal rock carvings, spot marine life and the best viewing points of Bondi and surrounding beaches. Great photo opportunities – including the chance to have your photo taken on Bondi Beaches golden sand with a Bondi Lifesaver and rescue board. Please bring a hat and wear comfortable walking shoes.